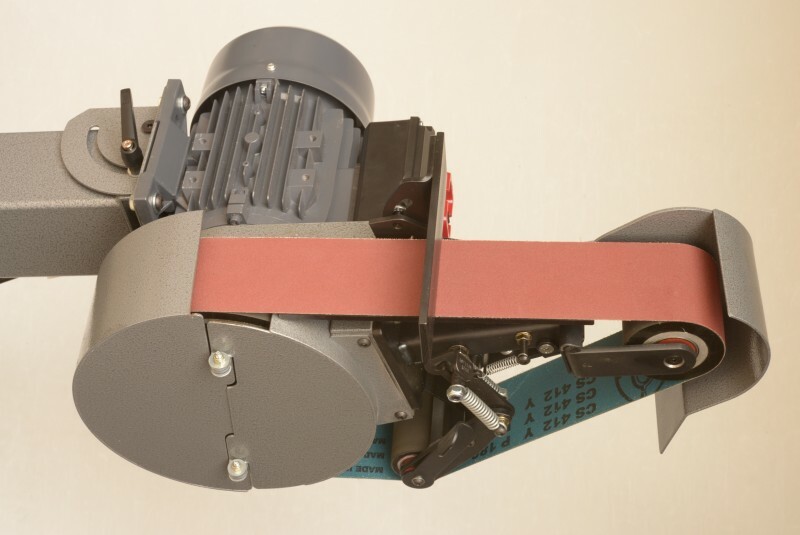 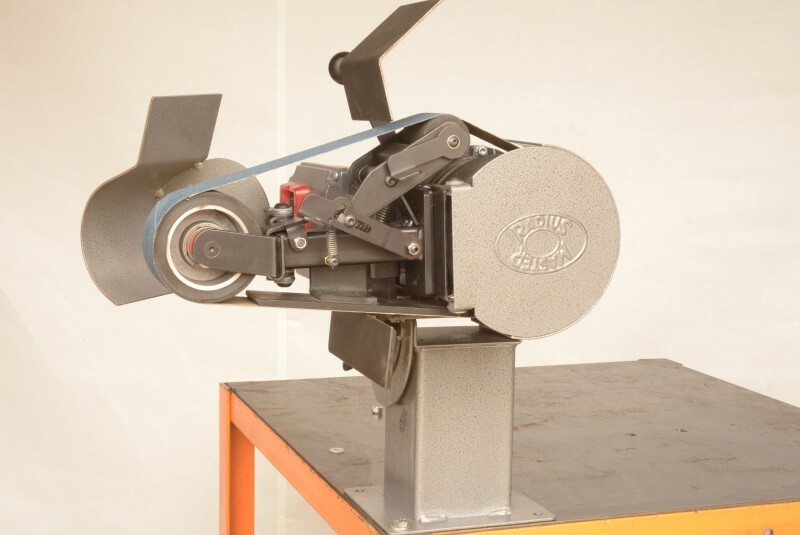 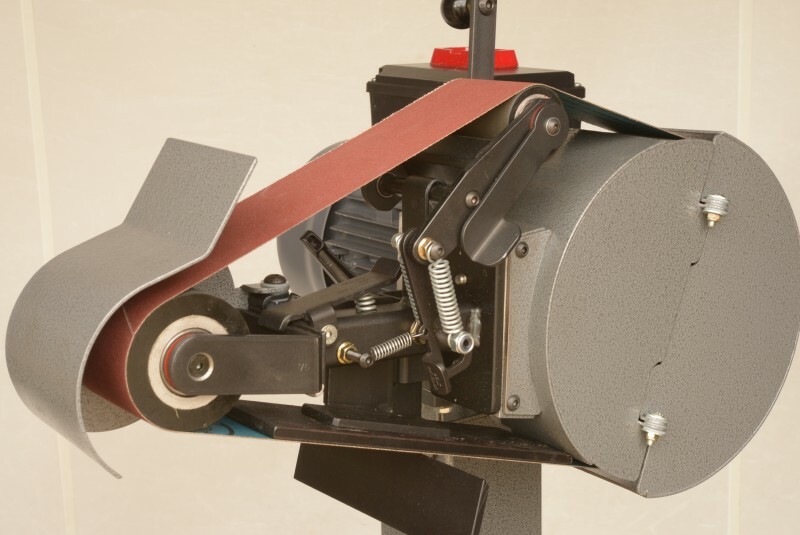 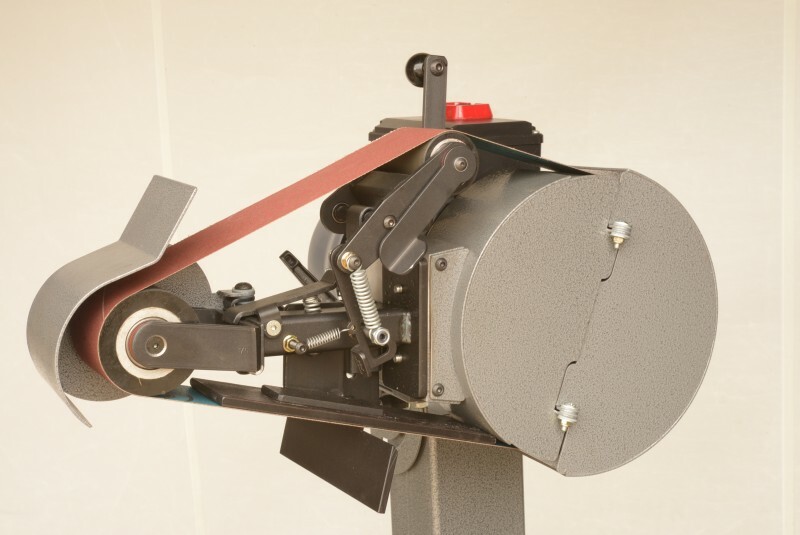 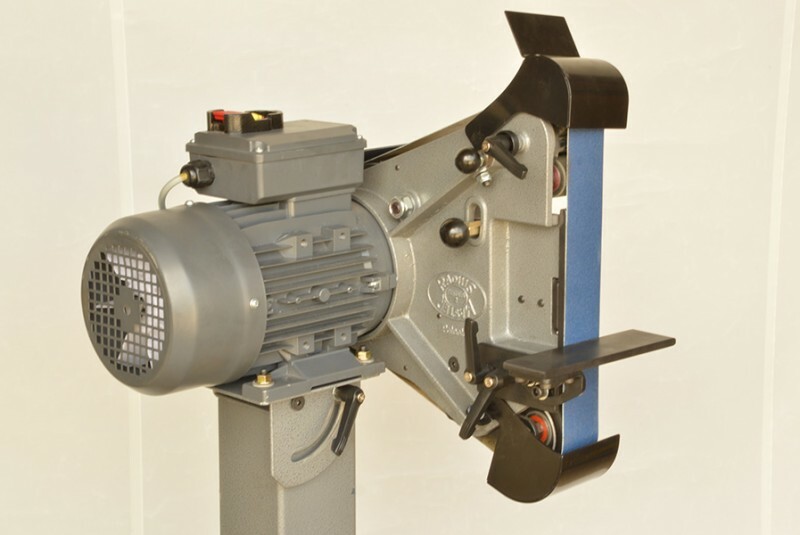 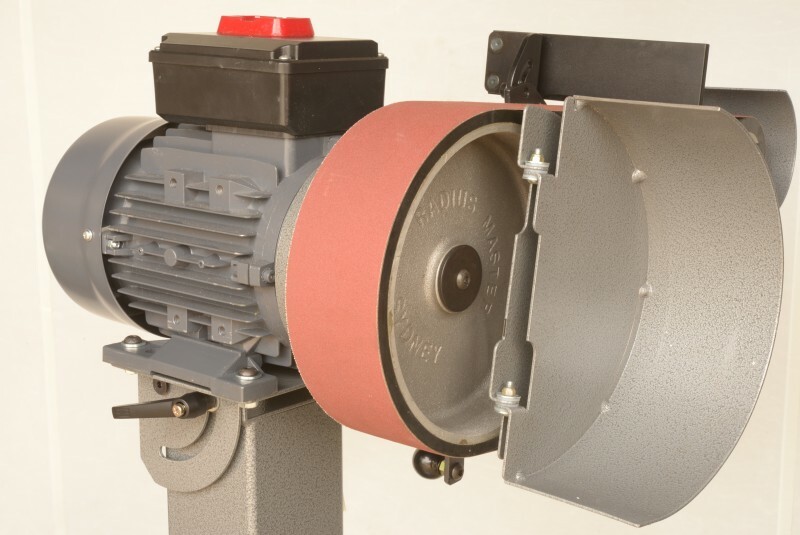 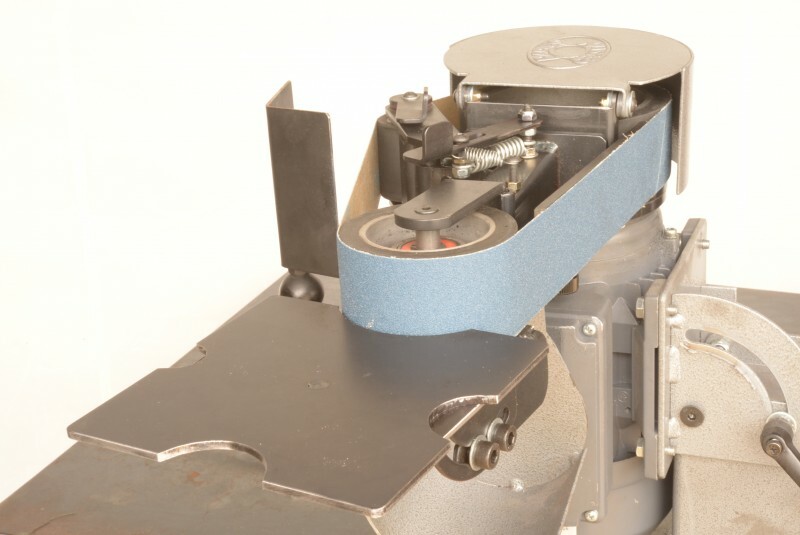 The Selecta-A-Rad 602 Belt Grinder includes 5 word station options, increased belt performance and more clearance for hollow grinding. 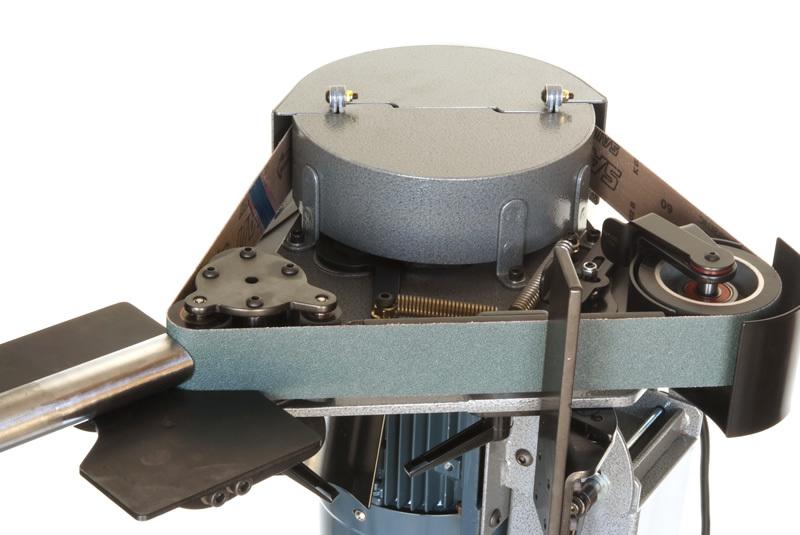 In addition it comes with a Tilt Top Stand and Base Plate, a Too Rest Notching Table and 2 contact wheels (50mm & 89mm). 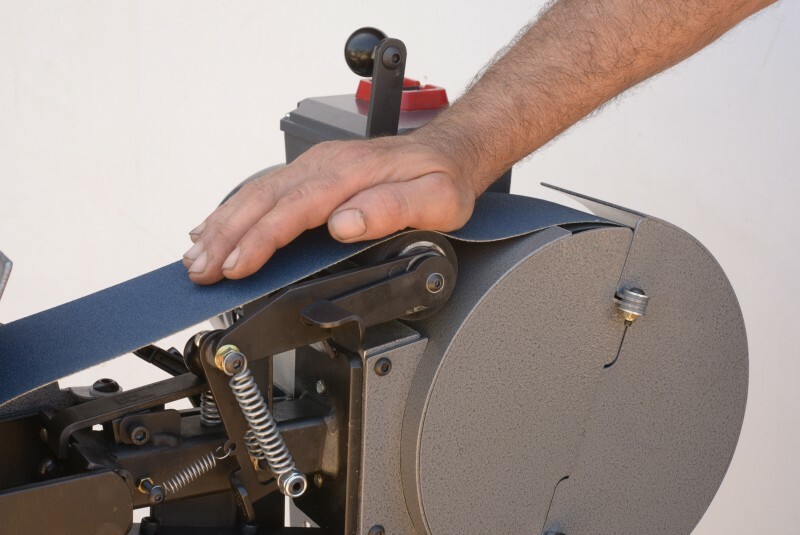 Blade Master BM362 has many user friendly features that set it apart. 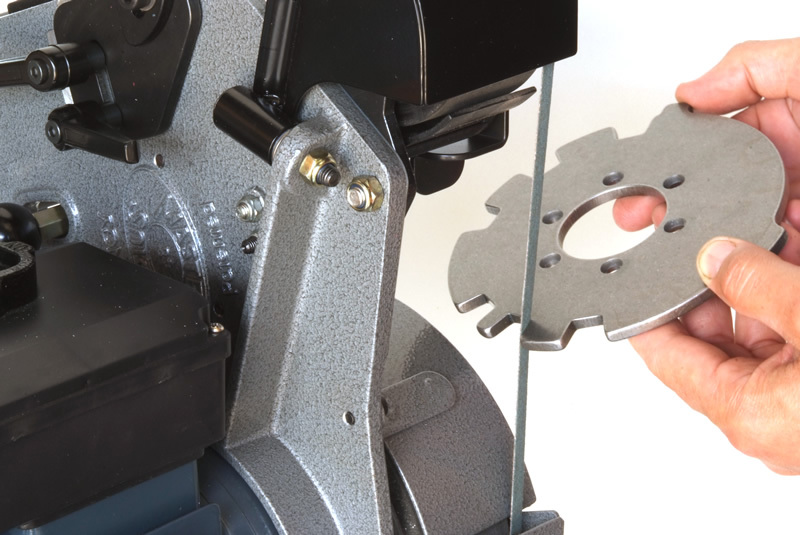 No time is lost in dismantling and changing accessories. 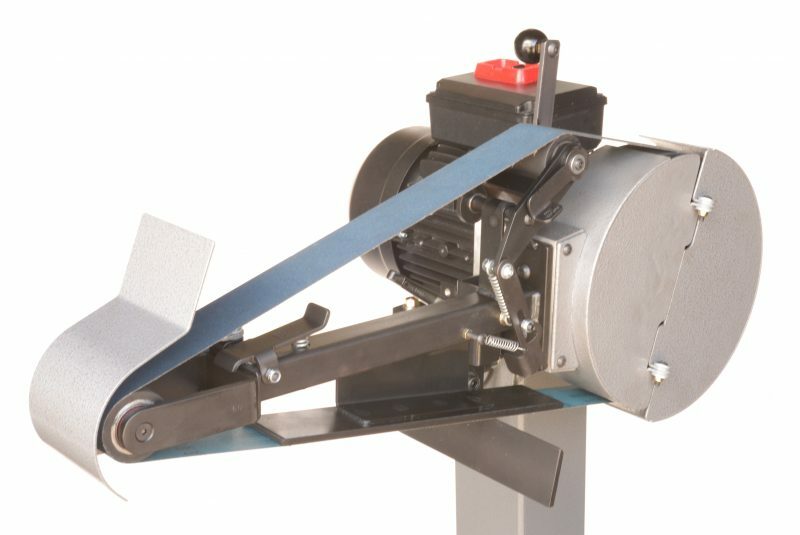 In the case of semi-production work, time saved can be hours per day. 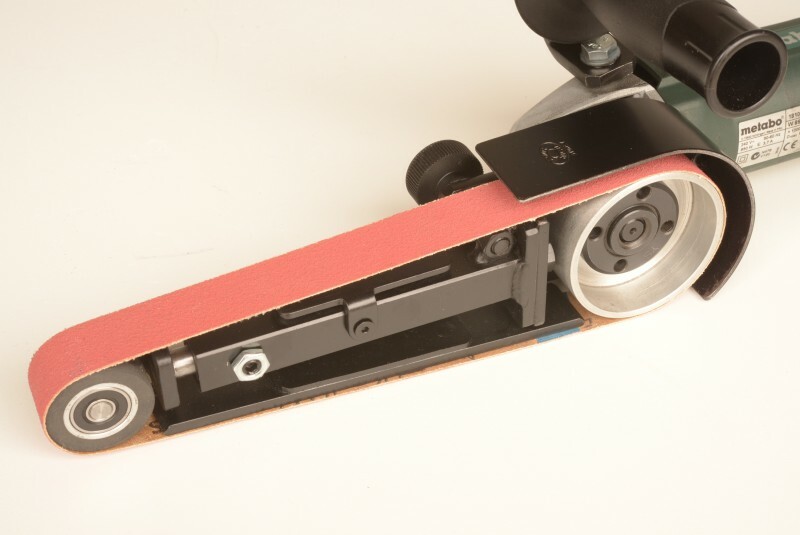 The guards covering the contact wheels are easy to engage and disengage. 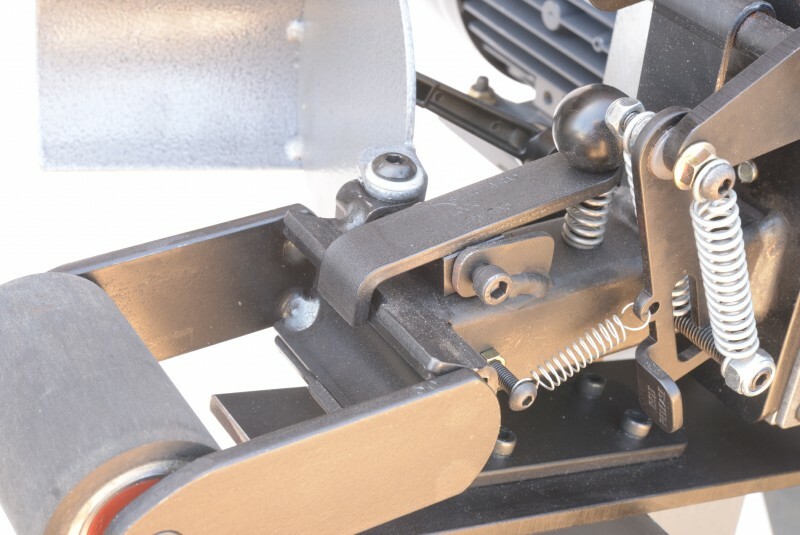 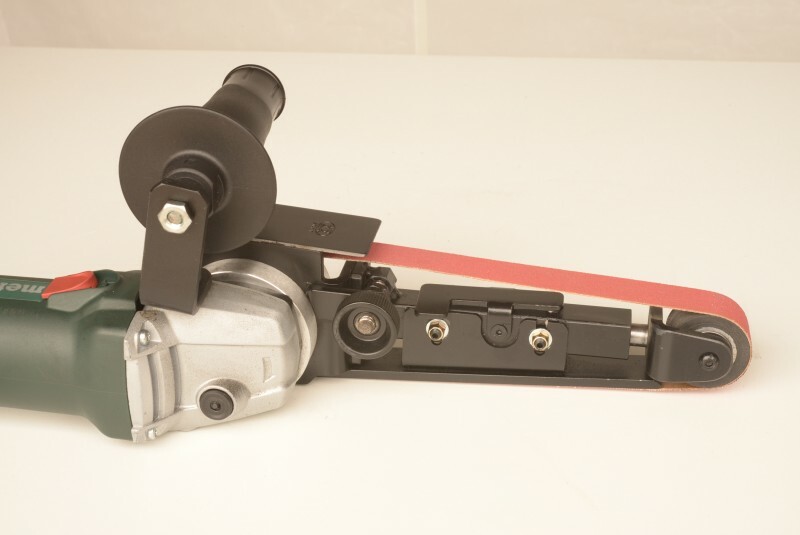 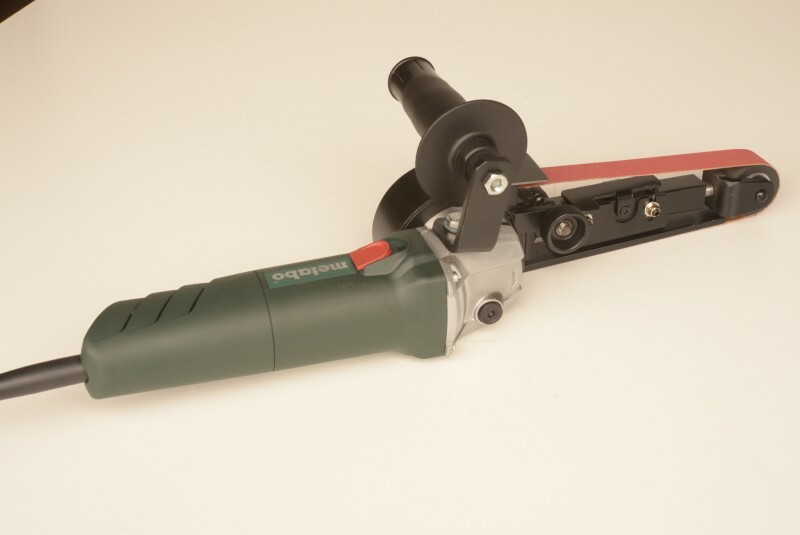 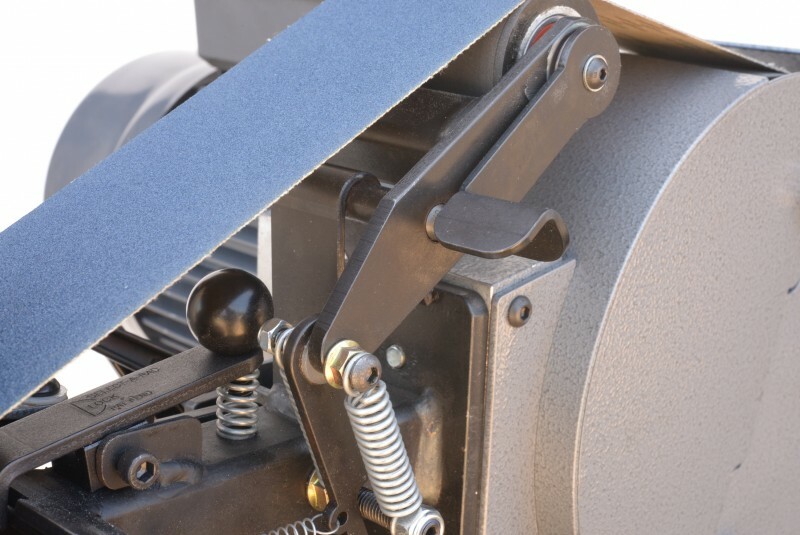 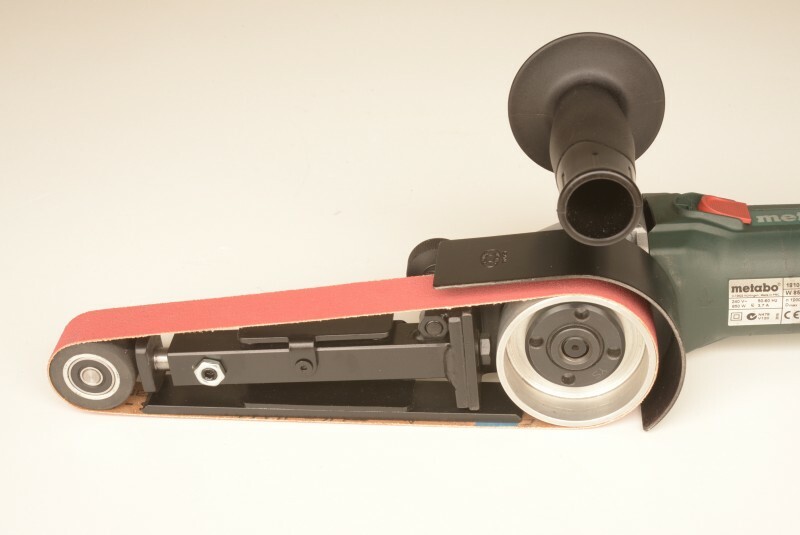 The handle position can be adjusted on all clamp levers. 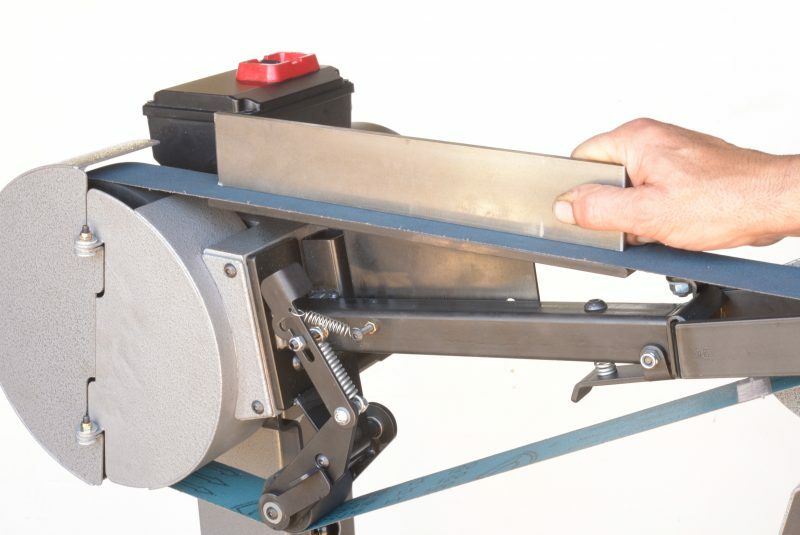 The ease of selection, belt change, belt tracking and its versatility make using this machine a pleasant hands-on experience. 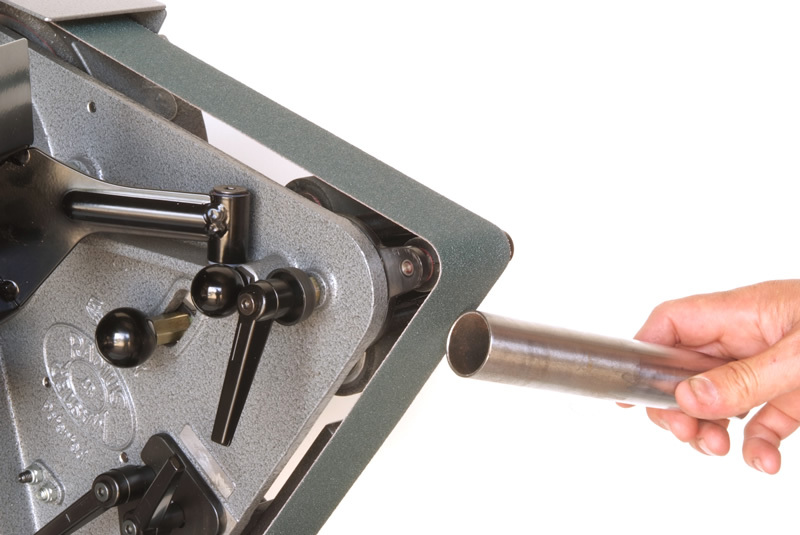 Blade Master patented wheel cartridge lock is so efficient it can support a 203mm (8”) Ø contact wheel. 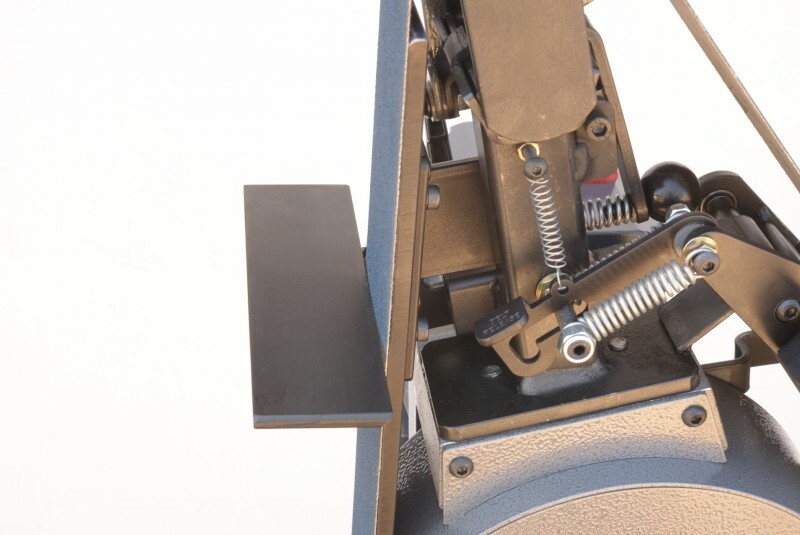 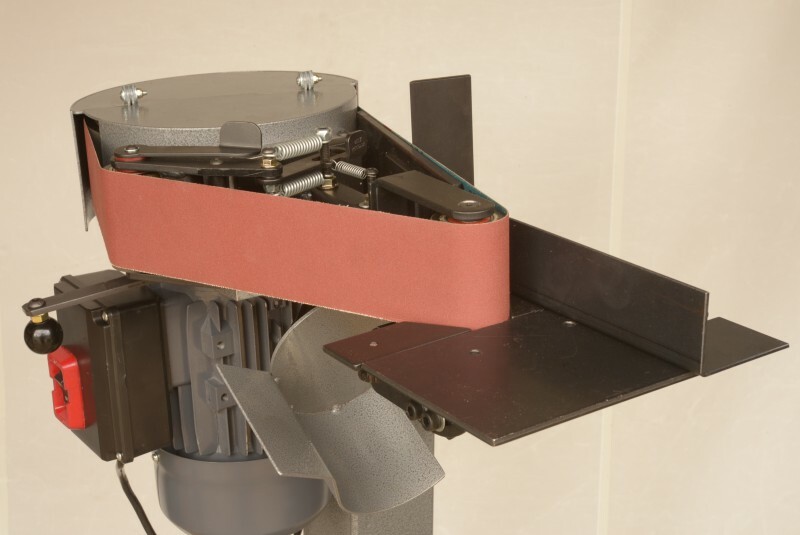 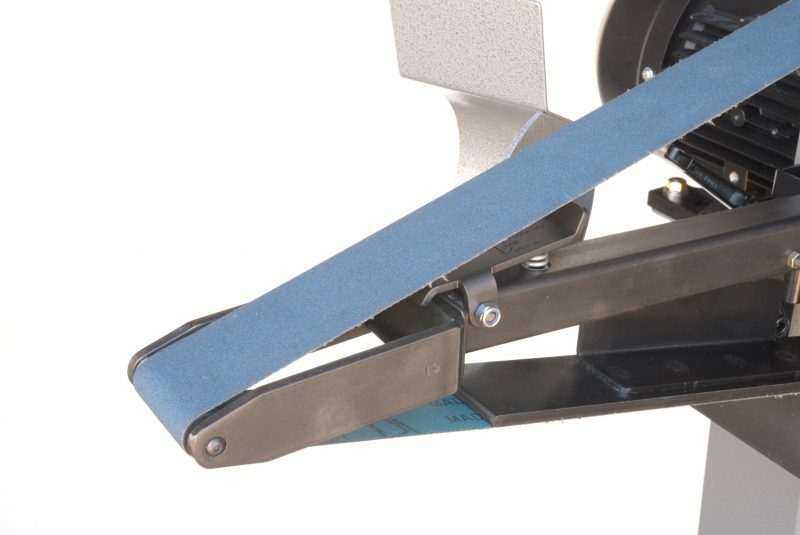 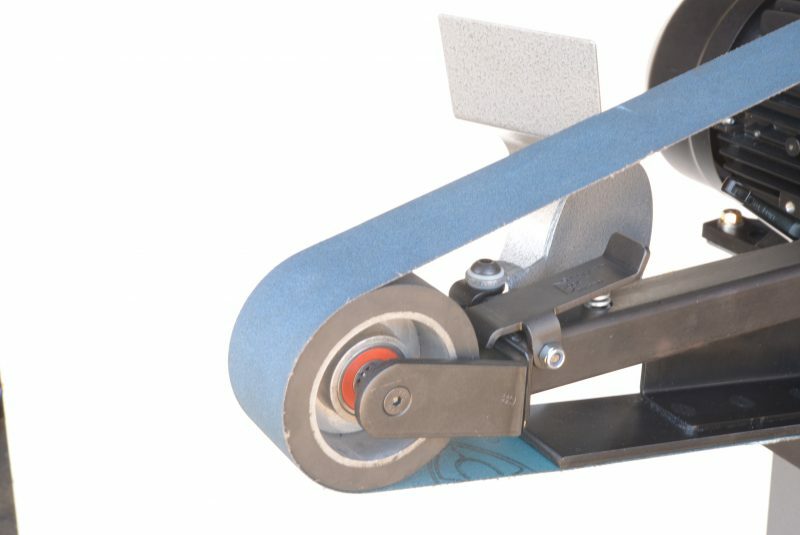 The addition of this contact wheel steps it up to the next popular belt size of 1220 x 50 (48” x2”). 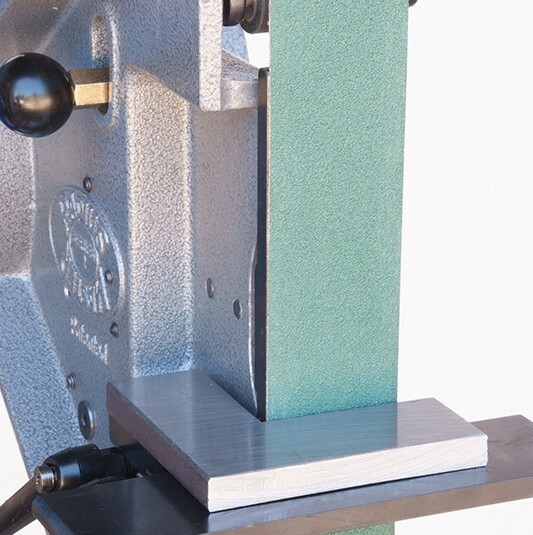 This provides exceptional flat grinding & hollow grinding performance essential for custom knife making. 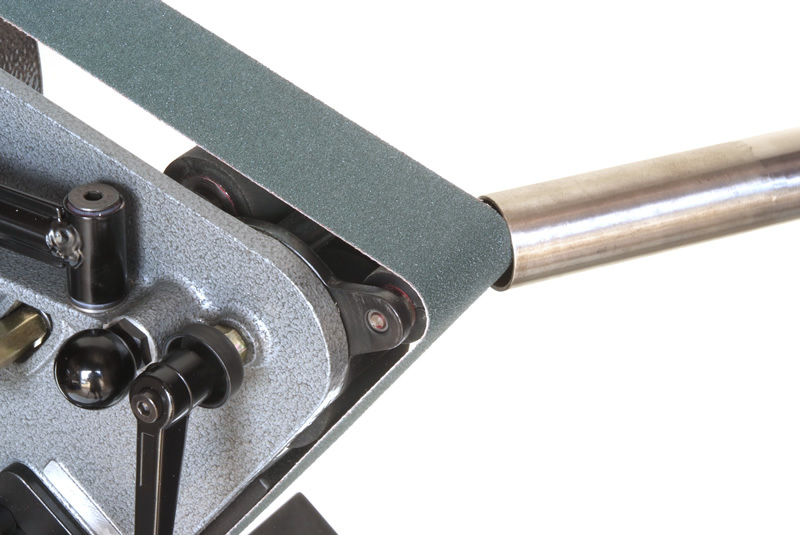 Exceptional performance at moderate cost. 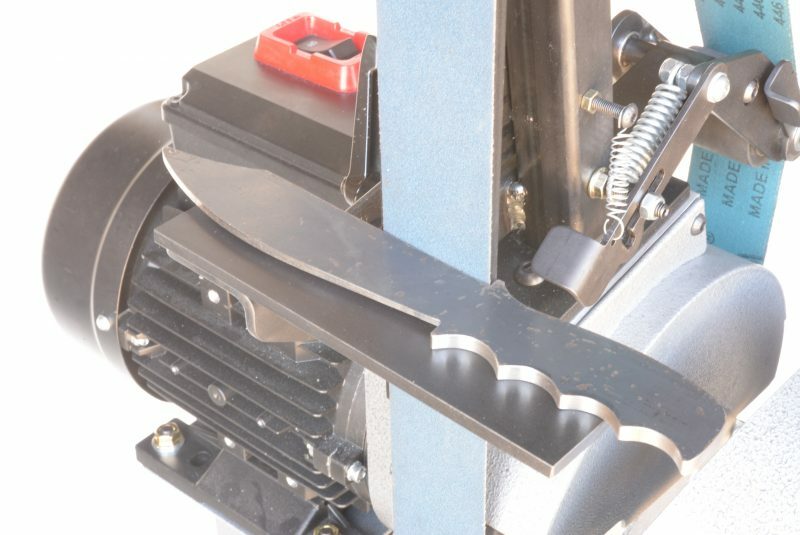 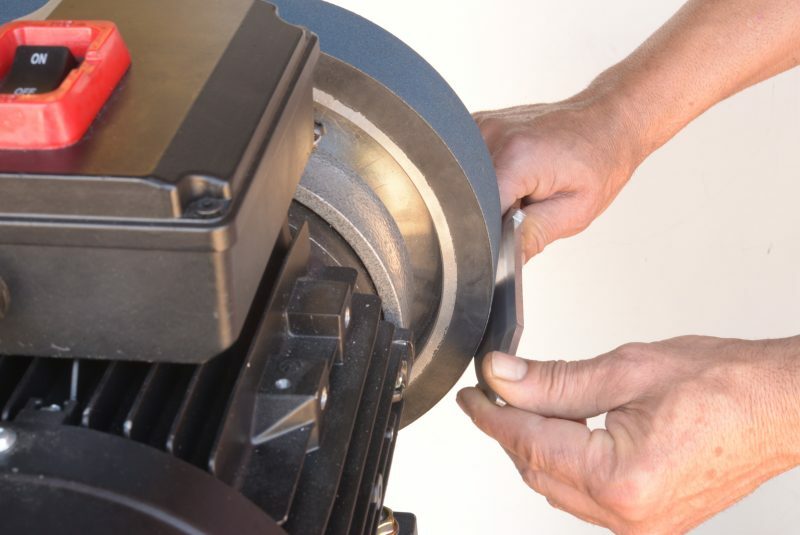 Out performs other grinders with twice the belt length. 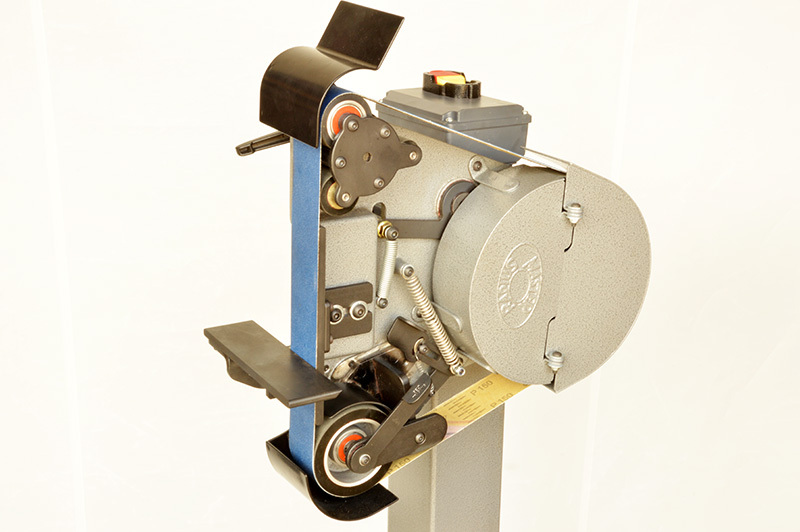 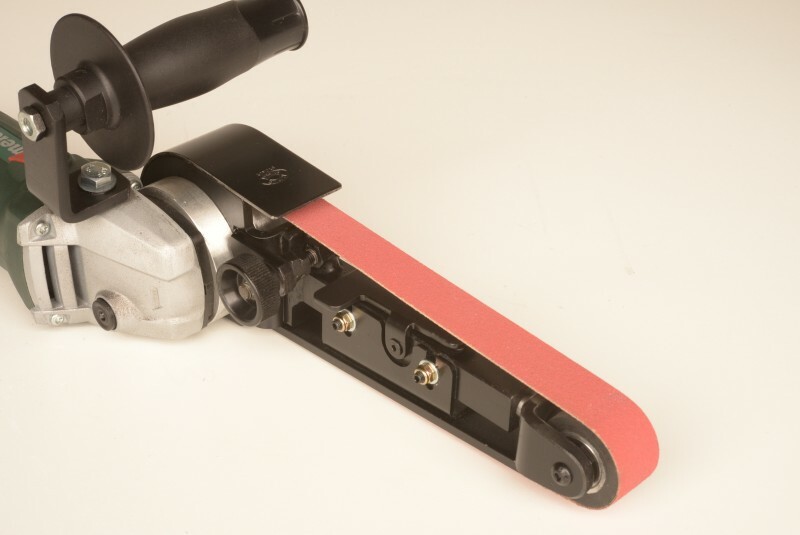 Blade Master patented wheel cartridge lock is so efficient it can support a 203 (8”) Ø contact wheel. 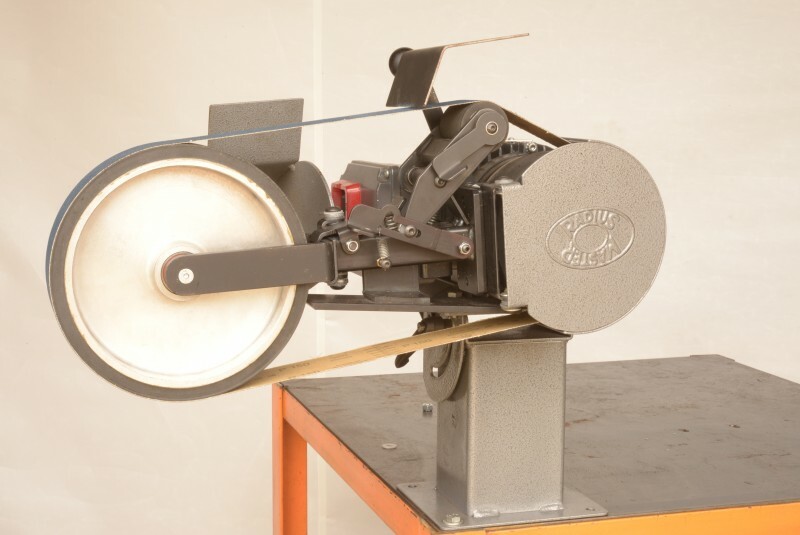 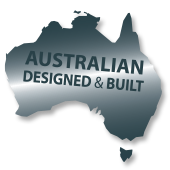 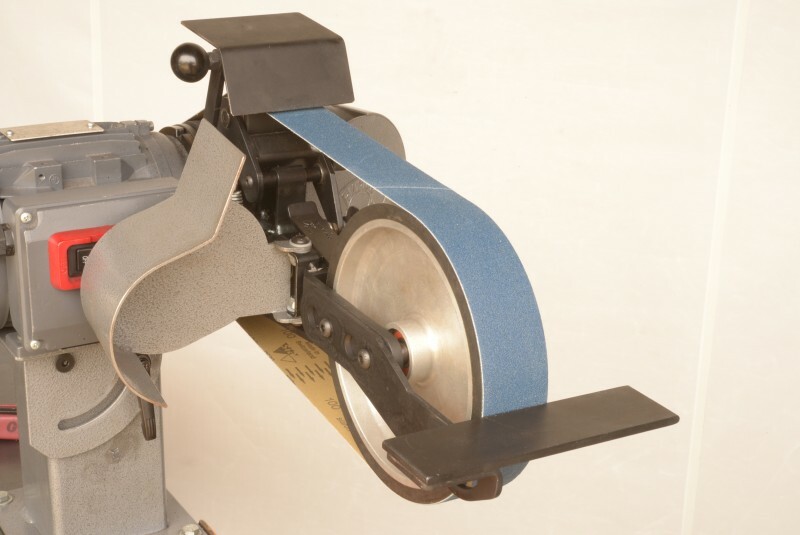 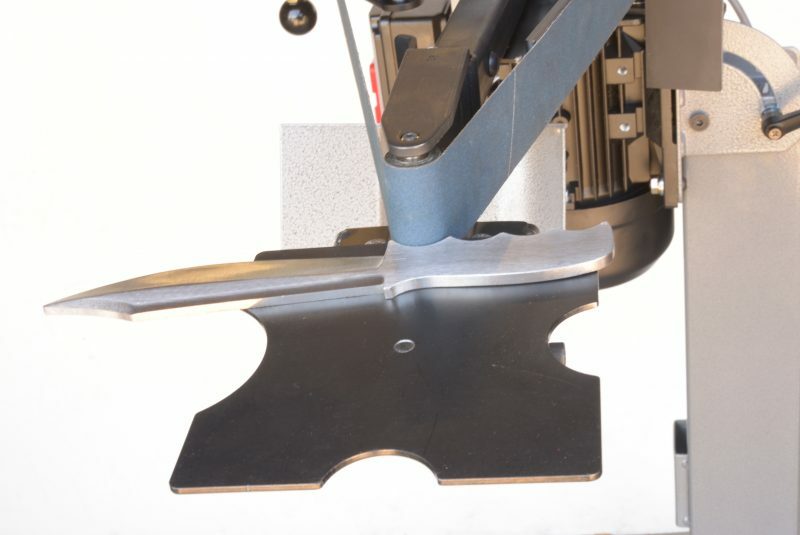 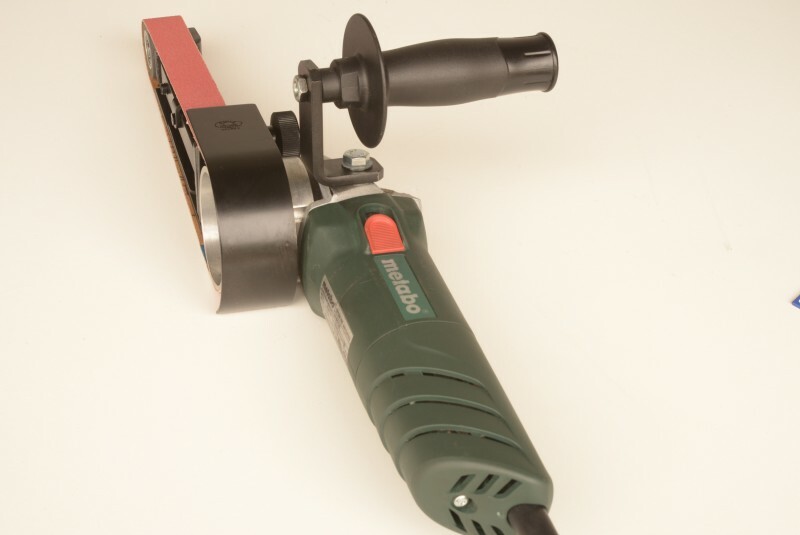 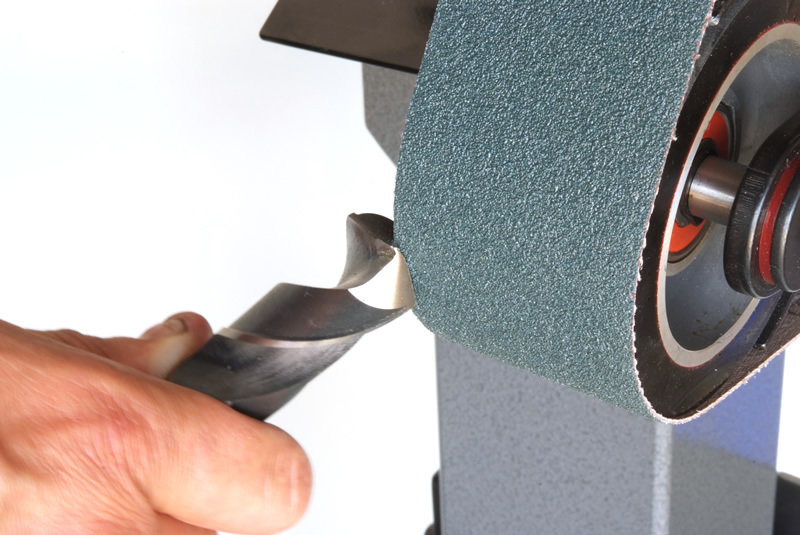 This provides exceptional flat grinding & hollow grinding performance essential for custom knife making.